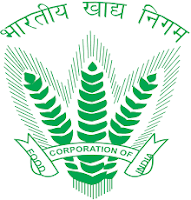 Food Corporation of India - FCI published an official notification for Recruitment of Watchmen for 55 posts. Eligible candidates can apply for this recruitment. You can view more details about this recruitment including No. of posts, name of post, Educational qualification, Age limit, Selection process, How to apply etc... You can also view official notification and other important facts about this recruitment e.g. Important links and Important dates. Application Fee: Candidates have to pay Rs.250/- through SBI Internet Banking, other major bank’s Internet Banking, Debit/Credit Cards or e-challan at branches of SBI. Final selection will be based on the basis of candidates performance in the Written Exam & Physical Endurance Test.